After 17 years of cooking and serving Thai food exclusively, husband and wife team Chef Bee Satongun and Chef Jason Bailey opened their first outlet of Paste Bangkok Thai restaurant in 2013. Their reinterpreted Thai menu quickly made Paste one of the most talked about dining rooms in Bangkok, and led to numerous awards and recognitions, including a Michelin Star in the inaugural 2018 Michelin Guide to Bangkok, and ongoing engagements representing Thai cuisine globally in association with the Tourism Authority of Thailand. Their rigorous attention to detail, plant-rich philosophy and flair for presentation allows them to create refined Thai food with unique, layered depth and complexity. The decision to open a new Paste venue in Laos stems from a strong desire to pay tribute to the origins of Thai food, and engage more closely with Chef Bee’s roots hearkening back to the hill tribes of Laos. Not to mention the excitement which comes from nearly untapped access to a stunning diversity of wild foraged and cultivated herbs, edible plants and flowers which are far more diverse in general than those readily available in Thailand, including some essential fresh ingredients virtually impossible to acquire elsewhere. Chef Bee’s legendary flavor and textural layering and deep rooted heritage in Thai and Laos food are a fundamental part of her massive success in recent months. This innate ability, combined with 17 years of professional cooking, are the foundation of Paste’s consistency and smooth running kitchens. Organization, attention to detail, and awareness of staff moral are key components to this stunning level of delivery year over year. The creation of Paste at the Apsara is a deeply emotional experience for Chef Bee. The hill country of Laos is her true ancestral home, and thus the connection to the land runs deep and strong. It is a rare and wonderful thing to see the brand new evolution and acceptance of a country’s cuisine, and the entire Paste team is excited by the daily challenges of helping to realize this dream. Chef Korn’s scholarly mind and passion for experimentation have captured the admiration and respect of many insiders of the Thai food revolution, and make him ideally suited for the mission of Paste Laos. 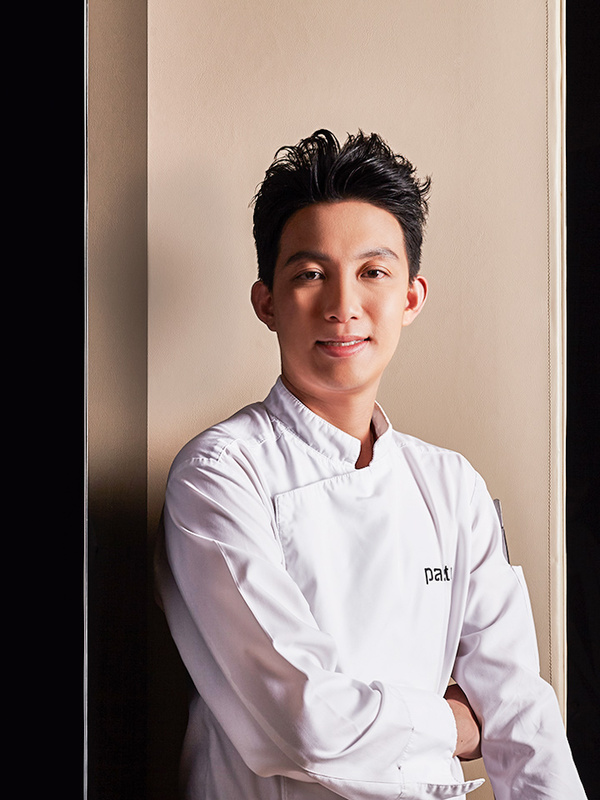 While his training began at an early age, cooking with his mother for family meals, it was only after university that he truly committed to the study of Thai cuisine for his future career. While most aspiring young Thai chefs latched on to the more traditional path of Franco-European cuisine, Chef Korn instead buried himself deep in the study of Thai food and its historical origins, with a goal to be involved in the Thai food revolution, which only a few visionaries could even sense was actually coming. His respectful and humble work ethic quickly made him an invaluable part of each kitchen he worked in, including Nahm under David Thompson. In the meantime, he absorbed as much knowledge as possible, amassing a collection of nearly 1000 Thai cookbooks, including many one-of-a-kind family collections. He joined forces with Thai food scholar Hanuman Aspler and the team at Thaifoodmaster.com, contributing to the revival and preservation of many old historical recipes, some of which are almost forgotten in the daily life of Thai cuisine. His driving passion is the ongoing research, experimentation, testing and tasting of heritage recipes, preserving the intention and flavor layering, while updating them for today’s fine dining standards. Paste Laos is an ideal situation in which to deliver on this unique skillset, using the finest, freshest produce and meats, applying modern systems and refined techniques to deliver fine Lao food. It’s is an amazing thing when a team shares such strong commitment to the same goal. Laos is the historical mother of much of Thai food, especially from the northern regions, and is an inevitable evolution for Paste. Chef Korn has worked tirelessly with Chef Bee to re-calibrate and adjust to the Lao palate, and create authentic, modernized versions of Phia Sing’s Lao dishes. In contrast to northern Thai, Lao food is gentle and refined, less spicy and more herbal. We trust you will be thrilled with what Chef Korn and Chef Bee are serving. 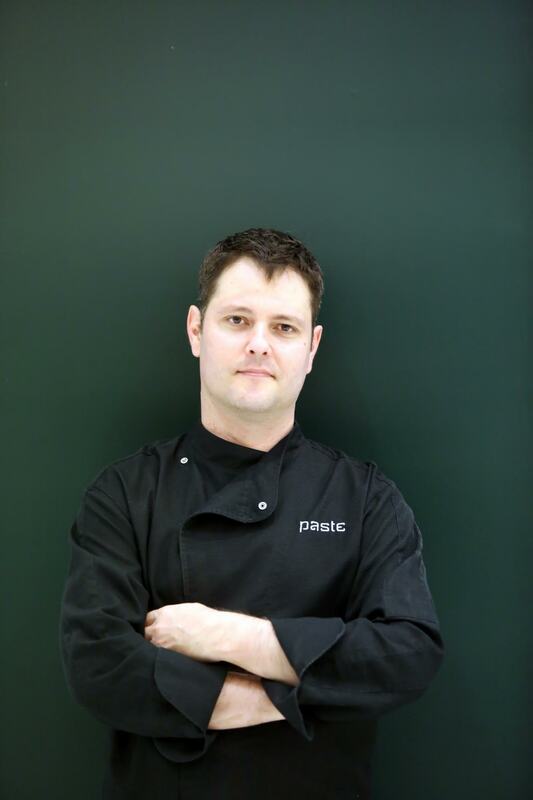 Chef Jason Bailey’s role in Paste has been a bit hidden over the past several years, as he has worked incessantly to hone the kitchen systems, manage business development, fine-tune menu creation and ensure delivery at the highest level of artistic culinary excellence to the customer. His deep experience in culinary systems and processes, supply chains, and training of cooks and floor staff alike has led to success wherever he applies his heart and mind. In 2012, Jason and Bee, wanting to push much further into the heart of Thai cuisine, moved from the highlands of Australia to Bangkok and jumped headfirst into the intense adventure of developing Paste Bangkok. Together he and Chef Bee had a single, focused dream: to elevate Thai cuisine to previously unknown success among the Thai elite, and gain international recognition. This business and strategic skill is closely tied to a keen artistic eye, an innate sense of emotional engagement across all the senses, and the voice with which to communicate and deliver that energy through the food which Paste so proudly serves. He has led and trained and cultivated a team which fears no challenge.